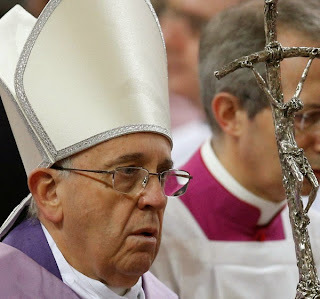 As Catholics are encouraged to make going to confession a significant part of their lives during Lent, Pope Francis offered some quick tips to help people prepare for the sacrament of penance. After a brief explanation of why people should go to confession -- "because we are all sinners" -- the pope listed 30 key questions to reflect on as part of making an examination of conscience and being able to "confess well." Titled "Safeguard your heart," the booklet is meant to help the faithful become "courageous" and prepared to battle against evil and choose the good. The booklet contains quick introductions to Catholic basics: it has the text of the Creed, a list of the gifts of the Holy Spirit, the Ten Commandments and the Beatitudes. It explains the seven sacraments and includes Pope Francis' explanation of "lectio divina," a prayerful way of reading Scripture in order to better hear "what the Lord wants to tell us in his word and to let us be transformed by his Spirit." The booklet's title is based on a line from one of the pope's morning Mass homilies in which he said Christians need to guard and protect their hearts, "just as you protect your home -- with a lock." "How often do bad thoughts, bad intentions, jealousy, envy enter?" he asked. "Who opened the door? How did those things get in?" 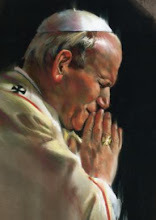 The Oct. 10, 2014, homily, which is excerpted in the booklet, said the best way to guard one's heart is with the daily practice of an "examination of conscience," in which one quietly reviews what bad things one has done and what good things one has failed to do for God, one's neighbor and oneself. -- Do I only turn to God when I'm in need? -- Do I take attend Mass on Sundays and holy days of obligation? -- Do I begin and end the day with prayer? -- Am I embarrassed to show that I am a Christian? -- Do I rebel against God's plan? -- Am I envious, hot-tempered, biased? -- Am I honest and fair with everyone or do I fuel the "throwaway culture?" -- In my marital and family relations, do I uphold morality as taught in the Gospels? -- Do I honor and respect my parents? -- Have I refused newly conceived life? Have I snuffed out the gift of life? Have I helped do so? -- Do I respect the environment? -- Am I part worldly and part believer? -- Do I overdo it with eating, drinking, smoking and amusements? -- Am I overly concerned about my physical well-being, my possessions? -- How do I use my time? Am I lazy? -- Do I want to be served? -- Do I dream of revenge, hold grudges? -- Am I meek, humble and a builder of peace? Catholics should go to confession, the pope said, because everyone needs forgiveness for their sins, for the ways "we think and act contrary to the Gospel." "Whoever says he is without sin is a liar or is blind," he wrote. Confession is meant to be a sincere moment of conversion, an occasion to demonstrate trust in God's willingness to forgive his children and to help them back on the path of following Jesus, Pope Francis wrote.